Frances Price, tart widow, possessive mother and Upper East Side force of nature is in dire straits, beset by scandal. Her adult son Malcolm is no help, mired in a permanent state of arrested development. And then there 's their cat, who Frances believes houses the spirit of her late husband, an infamously immoral world-class cad whose gruesome tabloid death rendered Frances and Malcolm social outcasts. The curious trio head for the exit, escape pariahdom and land in Paris a backdrop for self-destruction and economic ruin, and peopled by a number of singular characters- a bashful private investigator, an aimless psychic and Mme. Reynard, aggressive houseguest and friendly American expat. 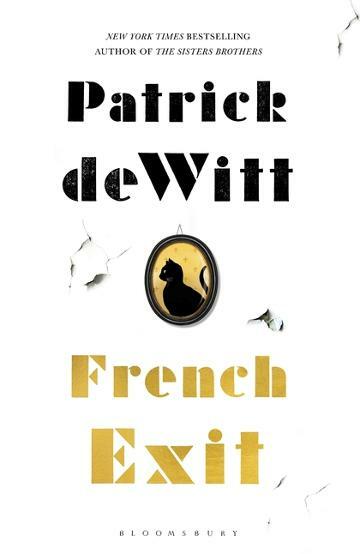 Brimming with pathos and wit, French Exit is a one-of-a-kind tragedy of manners, a riotous send-up of high society and a moving story of mothers and sons. Patrick deWitt is the author of The Sisters Brothers, which won the Governor General 's Award and was shortlisted for the Man Booker Prize and the Walter Scott Prize. He also is the author of Ablutions, which was a New York Times Editor's Choice, and Undermajordomo Minor. The Sisters Brothers is being adapted for film by Jacques Audiard (Rust and Bone, A Prophet), to star Jake Gyllenhaal, Joaquin Phoenix, Riz Ahmed and John C. Reilly, for release in 2018. Born in British Columbia, Canada, deWitt now resides in Portland, Oregon.